1.What is the role of A/B switch? If you are on A, would B still give you a voltage? The A/B switch allows one to change which channel is being displayed on the information dials. If both channels are set to be independent and have a voltage applied via their voltage control, they will both provide a voltage at the same time, regardless of what position the switch is in. One could set up channel A for one desired voltage, switch to channel B for another desired voltage and then use both voltage sources simultaneously in a circuit application. 2.In each channel, there is a current specification (either 0.5 A or 4 A). What does that mean? The power supply can also regulate the current being provided on its channels. It does so to ensure a constant supply of power. The independent option allows for both channel A and B to have separate voltages that are not interaction with each other. Changing the mode to tracking, however, will give the option to put the channels in series or parallel. 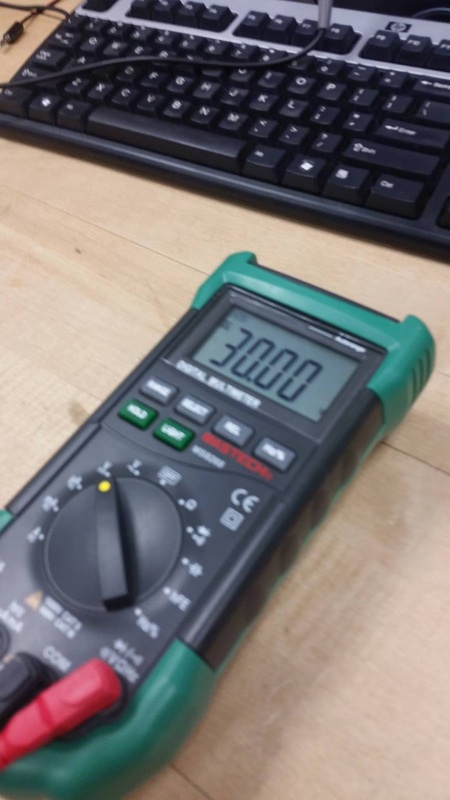 This allows for a greater difference in voltages. In series the unit can output 48V at 0.5 A or in parallel the unit can output 24V at 1A. 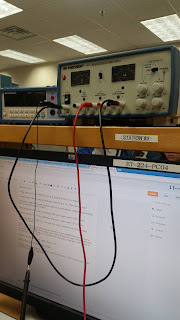 We are able to generate +30 V by using both A and B outputs in series and having the Positive and Negative leads in the positive and negative input on the power supply. Alternatively, we could have measured the voltage as -30V by switching the positive and negative leads to the digital multi-meter. 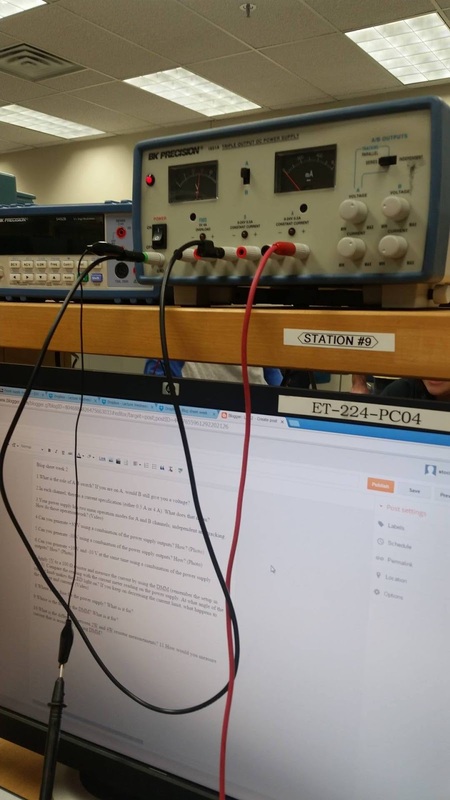 We felt that the earlier method is best to stay organized for future use when a circuit may call for both positive and negative voltage. Both positive and negative volts are setup using A and B channels. As long as you switch one of the channels with positive and negative leads it will create a negative voltage source. This is done by putting the power supply in independent mode. 8.Where is the fuse for the power supply? What is it for? The fuse for the Power Supply is located on the back under the power cord. The fuse is used to prevent any damage to the power supply in case anything would prevent the fuse to blow. 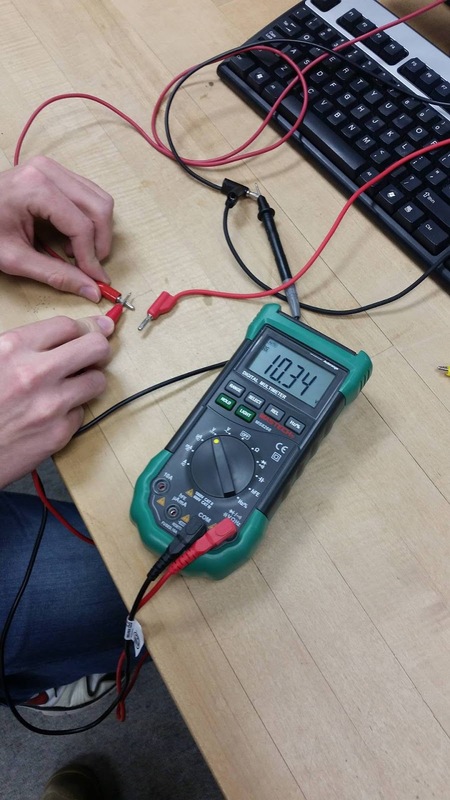 If the fuse blows, the LED indicator will not light and the power supply will not operate. 9.Where is the fuse for the DMM? What is it for? The housing for the fuse on the DMM is located on the back of the meter under the power cord. The correct fuse ratings for the DMM are 250mA fuse for 100Vac or 120Vac is selected, and 125mA fuse for 220Vac or 240Vac is selected. There is also a T2al 250V fuse on the front face that's duty is to make sure too much current is not passing through from the leads to the unit. 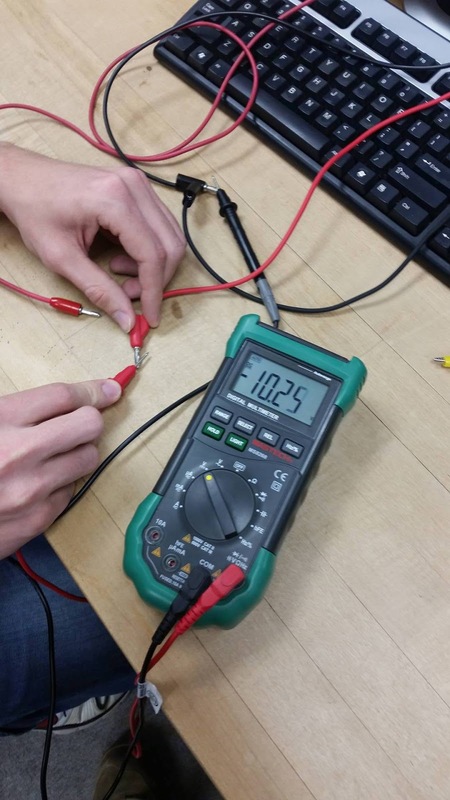 10.What is the difference between 2W and 4W resistor measurements? 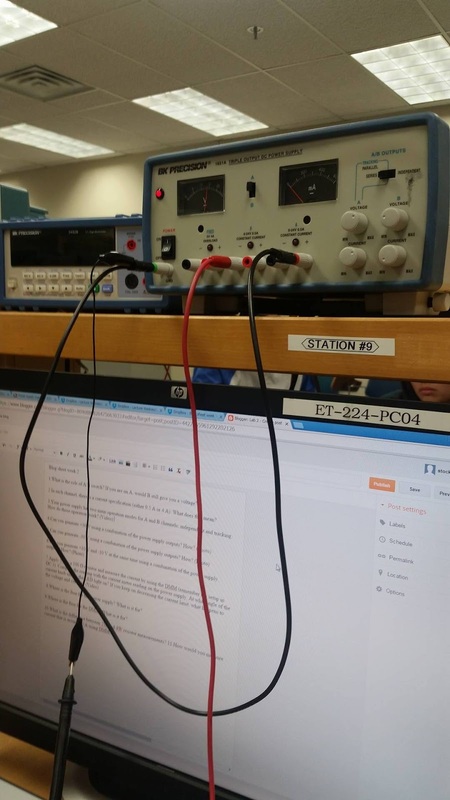 The accuracy on the 2 wire is slightly higher than the 4 wire on some measurements. For the 120 Ohm measurement the 2 wire accuracy is at .15% and the 4 wire is at .1%. 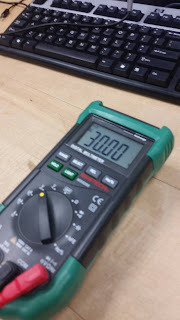 The maximum input for the 2W resistor is 500V and the the maximum input for 4W resistor is at 250V. 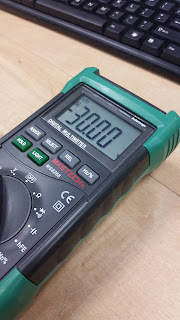 11.How would you measure current that is around 10 A using DMM? #6 is not correct. I hope my explanation in the class was helpful. 2W vs 4W. Actually, 4W is more accurate.